Red Velvet (Shade No. 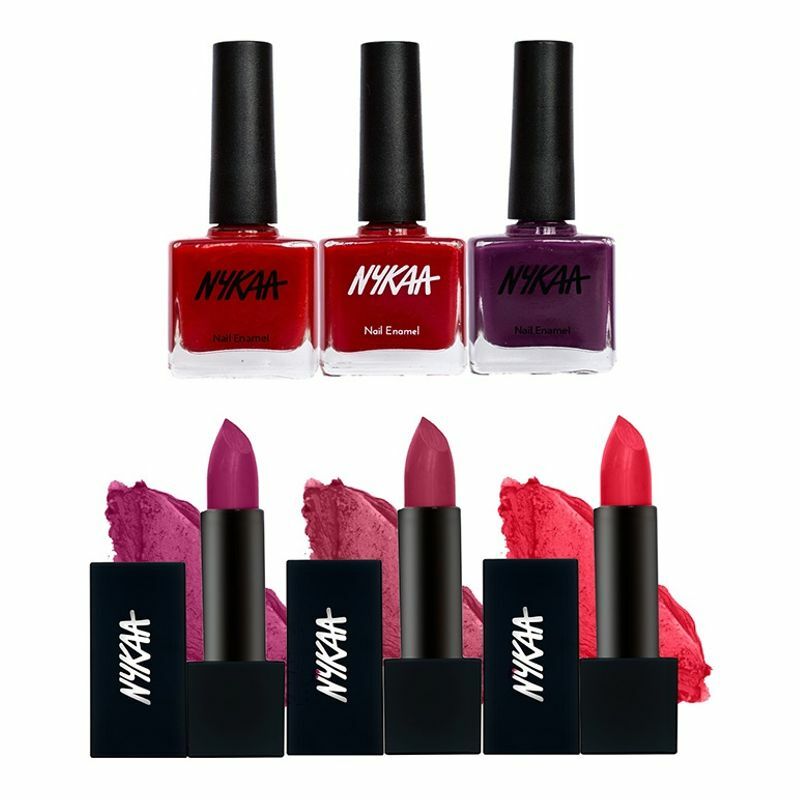 3) -Let this velvety, lustrous red, pretty up your pinkies. Allow yourself to bask in rich red hues that spell "star power." It's time to be bold. It's time to brash. Smear some red. Why so Plum? (Shade No. 26) - Deep loves and intimate conversations call for nails that speak of pink-orange sunsets and beachy afternoons. Set the tone with our Why so Plum, a shade of purple that conquers hearts and teases minds. 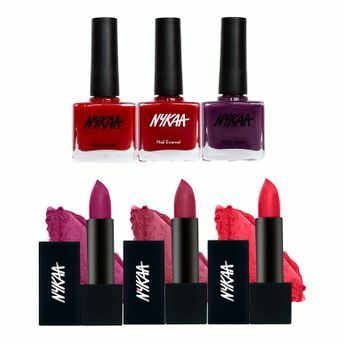 Want high impact color and super-shine The Nykaa Pop Nail Enamel Collection is a superior nail lacquer with light reflecting pigments that deliver intense, long lasting color. Perfect for times when you DO want super shiny nails that last longer than regular polishes. Very Cherry (Shade No. 4) - Those cherry lips crave a little too much don't they Glory to first dates and our Very Cherry, your go-to red trickster to spice up that much awaited evening. Don't say we didn't warn you!